The West Bank Barrier is expected to be completed in 2010. Declared illegal by the United Nations International Court of Justice, this network of concrete walls, trenches, and barbed-wire fences could permanently redraw one of the most disputed property lines in the Middle East—the Green Line that separates Israel and the West Bank. To Israel the “security fence” is intended to keep Palestinian terrorists from entering its territory. But to Palestinians the "apartheid wall" that sliced through orchards and houses, and cuts off family members from one another, is a land grab. 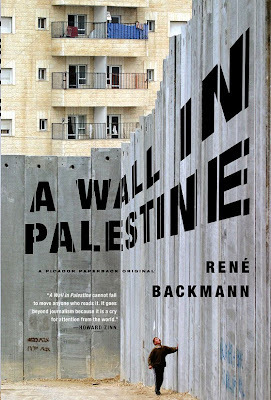 In this comprehensive book, Backmann not only addresses the barrier's impact on ordinary citizens, but how it will shape the future of the Middle East. 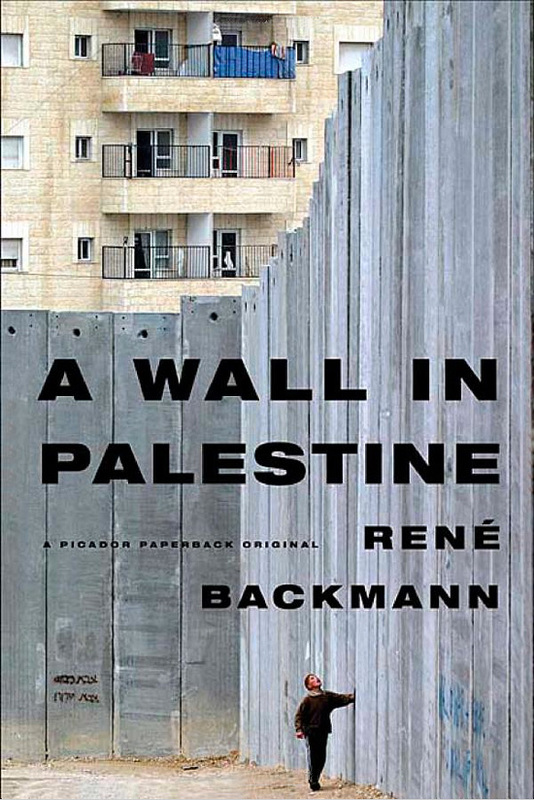 Though it promises security to an Israeli population weary of terrorism, it also is responsible for the widespread destruction of Palestinian homes and farmland; with its Byzantine checkpoint regulations, it has also severely crippled the Palestinian economy; and, most urgent, the barrier often deviates from the Green Line, appropriating thousands of acres of land, effectively redrawing the boundary between the West Bank and Israel. 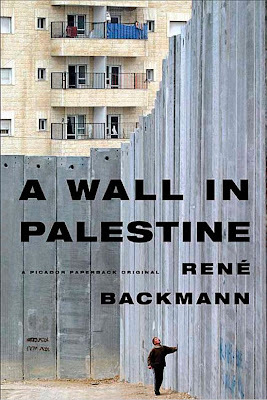 Backmann interviews Israeli policy makers, politicians, and military personnel, as well as Palestinians living throughout the West Bank, telling the stories not only of the barrier’s architects, but also of those who must reckon with it on a day-to-day basis on the ground. With bold, brilliant, and often impassioned reportage, A Wall in Palestine renders the West Bank Barrier—its purpose, its efficacy, its consequences—as no book before. 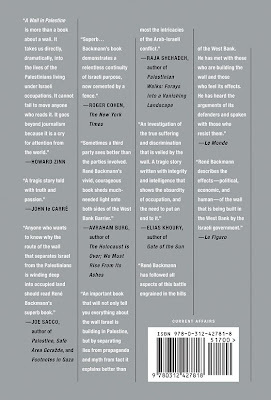 The mechanical had already been typeset and ready to go to the printers when the editor told me that he received a ton of great quotes. Could I fit them all on the back-ad? Sometimes trying to redesign, cram and reflow so much copy into a single centered text column can be a huge last minute annoyance. It wasn't fitting so I thought I could break down the copy into easier to read chunks by splitting them into two columns. 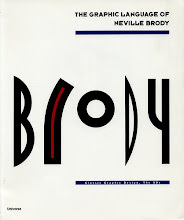 But I saw that four flush-left thinner columns would echo the vertical Wall segments on the front cover. 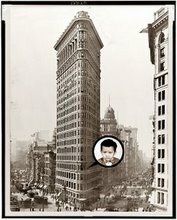 I staggered the column heights and added a 1/2 point thick black rule separating the columns to further echo the front cover. I love text copy! Following an earthquake, the water level of an Icelandic lake suddenly falls, revealing a skeleton. Inspector Erlendur's investigation takes him back to the Cold War era, when bright, left-wing students in Iceland were sent to study in the "heavenly state" of Communist East Germany. 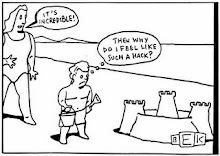 Teaming with spies and informants, though, their "heavenly state" becomes a nightmare of betrayal and murder. 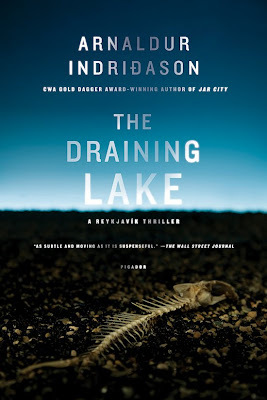 Brilliantly weaving international espionage and a chilling cold case investigation, The Draining Lake is Arnaldur Indriason at his best. An article appeared in The Wall Street Journal discussing The growing appeal of Scandinavian crime fiction; existential malaise and bad coffee.